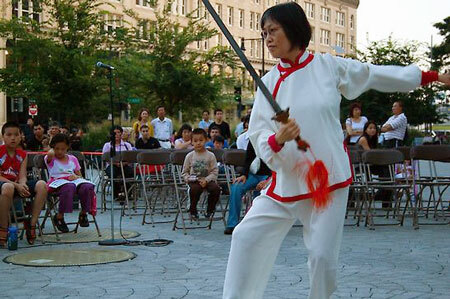 Every summer in Boston, the Chinatown community creates a free, outdoor theater, showing Kung-Fu and classic Chinese-language films under the stars. What began in 2006 on a vacant lot continues on the Greenway. Learn about the history of the project here. For schedule and details, please visit: Asian Community Development Corporation. Check out an illustrated history of Kung Fu Movies created by curator Jean Lukitsh. 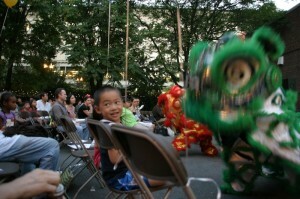 Films at the Gate is presented by the Asian Community Development Corporation. Please support the event with a contribution or sponsorship. Boston Street Lab, Jean Lukitsh, and ACDC.